Origin The sheep was milked for about thousands of years. Sheep’s milk also known as ewe’s milk is the milk that has been extracted from the mammary glands of domestic sheep. It is also used for making dairy products. Female sheep is known as ewes that does not continually produce milk. It provides milk for 80 to 100 days after lambs weaning. It breeds in the fall and lambs are born on early spring or early winter. This milk has high content of fat as well as conjugated linoleic acid in comparison to other milks. It is also rich in lactose content. Due to its high content of protein, it is suitable for making yogurts and cheese. Roquefort, Romano, Pecorino and feta are the popular cheeses made from the sheep’s milk. Due to the high content of solid, more cheese could be made from one gallon of milk. As the sheep produce less milk in overall content, its cost is higher. It is found in small extent. 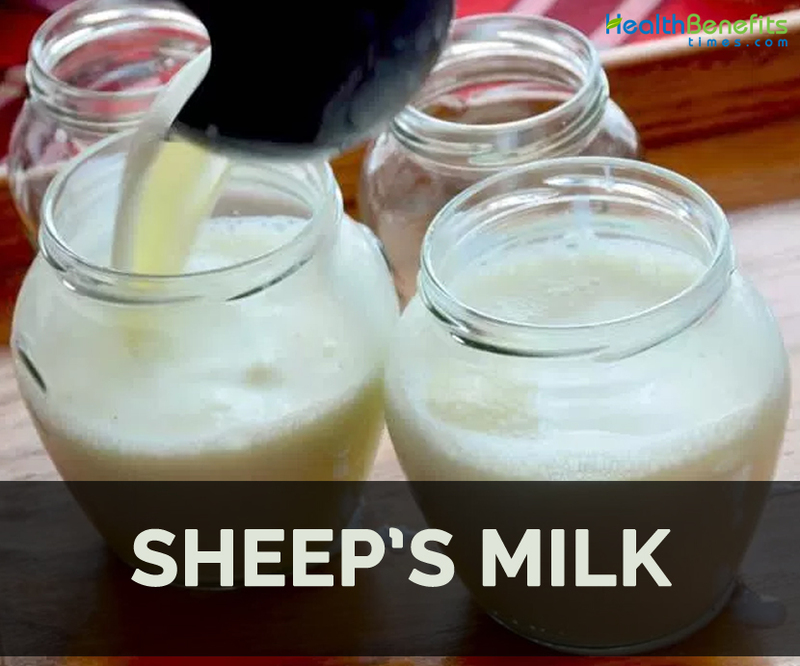 One cup of sheep’s milk offers 197.72 g of water, 265 calories, 14.65 g of protein, 17.15 g of total lipid fat, 2.35 g of ash and 13.13 g of carbohydrate. The same amount provides 72.50% of DV of Vitamin B12, 66.92% of DV of vitamin B2, 55.29% of DV of phosphorus, 51.99% of DV of valine, 49.525 of isoleucine, 49% of DV of total lipid fat, 47.30% of DV of calcium, 46.82% of DV of tryptophan, 38.91% of DV of leucine, 37.59% of lysine, 37.33% of DV of threonine, 33.20% of DV of histidine, 29.30% of DV of protein, 19.94% of DV of vitamin B5, 15.43% of DV of Vitamin A, 13.25% of DV of vitamin B1, 12.56% of DV of copper, 12% of zinc, 11.44% of DV of vitamin C, 11.31% of DV of Vitamin B6, 10.48% of DV of magnesium and 10.10% of DV of carbohydrate. Among cow, buffalo and goat’s milk, sheep milk is considered to be superior. 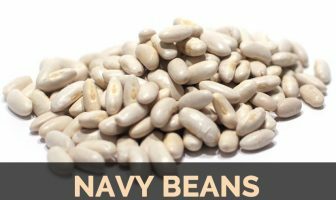 It has delicious flavor and used as a vital ingredient for various cuisines. Sheep is raised for its milk. The sheep’s milk or its products provides ample amounts of carbohydrates, protein, essential minerals, fats and vitamins. Sheep produce milk in limited time of the year due to which its cost is expensive. It is helpful for the people with allergies and eczema. The people who are not tolerable to lactose should avoid it. Due to the high content in fat, one could suffer from weight problems and obesity. Before adding it to the diet, one should consult a doctor. It provokes dyspnea and hiccups. Raw milk is comprised of harmful bacteria. It is used to produce various cheese and yogurts. It is used in baking as well as desserts. It is used to make ghee. The products made from the sheep’s milk cost expensive. The sheep’s milk could be preserved. Mediterranean countries are the largest producer of sheep’s milk. Sheep’s milk is considered to be the creamiest milk. It needs grass for the production of rick milk. It is also naturally homogenized milk which means that it contains more medium chain fatty acid and smaller fat globules. It also supports digestion. Though the milk of sheep is not well known but the products derived from its milk is widely consumed in all parts of world. The protein and fat content in sheep’s milk is higher in comparison to cow’s milk. Native The sheep was milked for about thousands of years. Calories in 1 cup (245 gm) 265 Kcal. Traditional uses It is helpful for the people with allergies and eczema. The people intolerable to lactose should avoid it. It might cause weight problems and obesity. It is used to make cheese and yogurts. It is used in baking and desserts. It is used to make ghee as well. The milk products made from this milk costs expensive. Mediterranean countries are its largest producer. Calories 265 Kcal. Calories from Fat 154.35 Kcal.